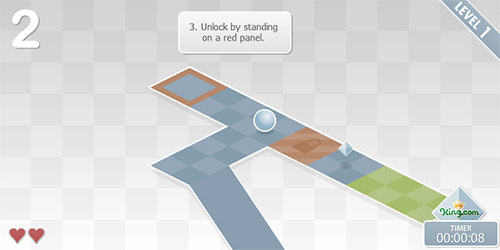 Description The classic skill game of rolling a marble through a difficult maze without falling off. Fun and quality game with a ton of challenging levels. Controls Use the arrow keys to move the ball. Collect diamonds, open doors, solve puzzles. Very nice skill game which hits you from the first level. Really tricky stuff.